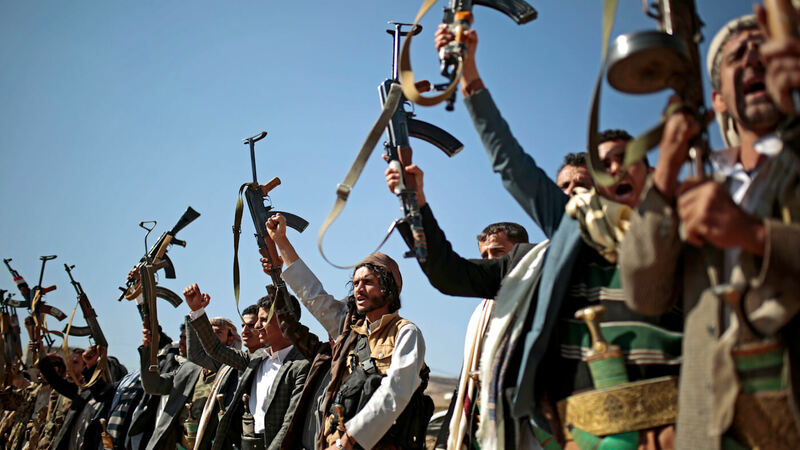 SANA’A, YEMEN — Mohammed Ali al-Houthi, the head of Ansar Allah’s Supreme Revolutionary Committee, welcomed U.S. Secretary of Defense James Mattis’ recent remarks urging an end to the three-year-long Saudi-led war in Yemen. In a tweet, Al-Houthi urged Mattis to announce an immediate end to the war, as well as to the Saudi coalition’s blockade that has triggered a famine in the world’s poorest nation. A Houthi soldier stands guard during a rally in support of the Houthi movement in Sanaa, Yemen, Monday, July 18, 2016.